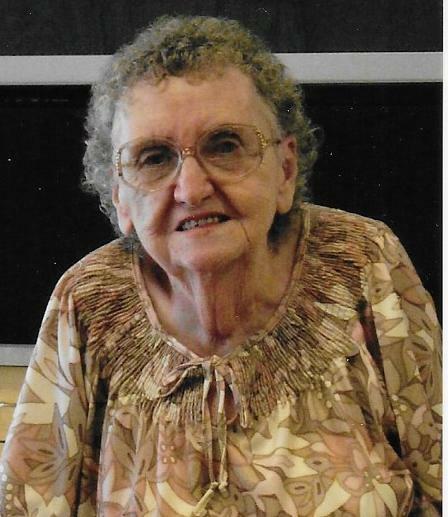 Mary V. Souders, 89, of Westminster, Maryland, died on Sunday, March 31, 2019 at Longview Nursing Home in Manchester. Born on August 17, 1929 in Washington, D.C. she was the daughter of the late James and Mary (Huff) Ryan. She was the wife of the late Harry Nelson and Howard Souders. Mary loved her Bible study and was well known for her home made fudge. Surviving are children, Donna Gscheidle and husband John of Westminster, Patrick Stevens and wife Linda of MA, Jacqueline Ratliff of VA, and Harry Nelson, Jr. and wife Mildred of VA; sister, Patricia Jones of MD; 13 grandchildren; and 15 great-grandchildren. She was predeceased by daughters, Ginny Sue Nelson and Mary Joanne Nelson, and by a grandson, Harry Nelson, III. The family will receive friends on Saturday, May 4, 2019 from 10:00 a.m. until the time of a Memorial Service at 11:00 a.m. at the MYERS-DURBORAW FUNERAL HOME, 91 Willis St, Westminster, MD. Burial will be private. There's still time to send flowers to the Visitation at the Myers-Durboraw Funeral Home from 10:00 AM to 11:00 AM on May 4, 2019.